Idre's Hostel has been working in ecotourism since 1996 and it was one of the first to provide budget accommodation for independent travelers in Mongolia. Nowadays, Idre's Hostel is the leading hostel and tour operator in Ulaanbaatar, Mongolia providing a variety of tours full of adventures and excitement. We have recently gotten a new management, which aims to employ locals who possess cross-cultural understanding and plenty of experience working in international communications. 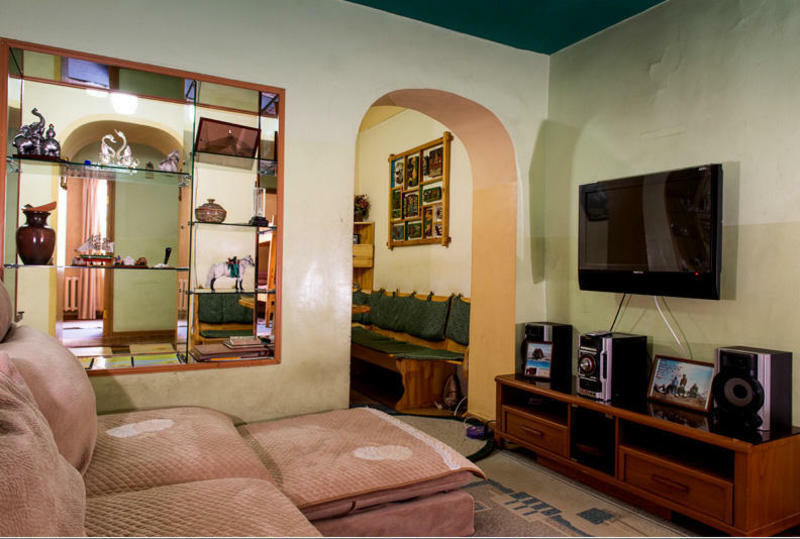 We offer for our guests enjoyment, a cozy and pleasant environment with clean, modern facilities. 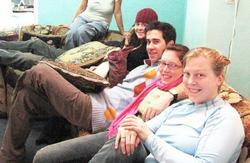 To create an agreeable home atmosphere where guests from all over the world can interact. We always do our best to accommodate every traveler in our hostel, but due to the limited space of our facilities we have no choice but to give preference to those who are touring with us. We would appreciate your understanding on this matter. We loved our stay here- the staff are friendly and welcoming, the rooms are deliciously warm and cozy, and the self-service kitchen was really convenient, with a toaster, microwave, hobs and hot/cold water at your disposal. Hot showers and free wi-fi another plus. Tasty breakfast. Plenty of room to sit and chat with fellow travelers. Just a few minutes from bus and train station. Though located in a part of town that's quite run down, the convenience of the location can't be faulted. Just across the road is the long distance bus station, 2 min cab ride away is the train station. Also in walking distance is Gandan Monastery (northwards up the street) and the main streets of interest (Peace Ave and Tourist Street, both eastwards). 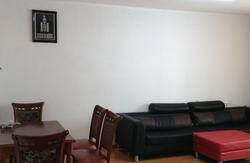 Inside the guesthouse, everything is clean, tidy and new looking. There's free wifi, lounge and kitchen. I was impressed with the laundry service which returned my clothes smelling fresh within 2 hours. The service was also really good -- the housekeeper is an endearing lady who's all smiles and ever ready to help. When I was in a hurry to get to the train station and didn't have change to pay for the taxi (which she flagged down for me), she actually gave me the fare.Can book tours from here also. Popular place. I've stayed in 3 places in UB, but this one I called 'Home' whilst in UB, and I was not alone in this regard. Having travelled around Mongolia, I keep coming back to this one guest house. Here you will meet only other travellers, it's more like a friendly transit lounge, with a central sitting room a kitchen and dining area too; people just arrived, others going out on tours, others chillin' for a few day before heading out again. Hot water on tap all day. Wifi and 2x PC's for our use. Dorms and some private rooms. Hot showers. Laundry. Smoking area / small conservatory. A five minute walk from the railway station, it's only a 15 / 20 minute walk into the centre of town, so it's well located. Idre's is also a tour operator, so what you need or want during your Mongolian stay, information or otherwise, can almost certainly be catered from here as they have tours leaving most every day going all around the country. Usefully, all the staff are very friendly, speak English, and are around all day to assist. The lady who runs the guest house Tess-agay (not the Mongolian spelling!) works 7 days & is never stressed, useful when things need sorting quickly or your plans are not working out as hoped. She rescued us when our plans went sour in the Gobi Desert with aplomb. As you can tell, after almost 2 months of coming-going, I am a giving as much info as I think you need to make an informed choice & I am clearly a fan, but don't let that put you off! Downsides? Small, but really, that's about it. We have opened 2nd location which is just 2 minutes walk from the main location. From the airport: You can take the bus â„– 22 and get off after ROKMON building on Peace Avenue or a 20-minute taxi ride.